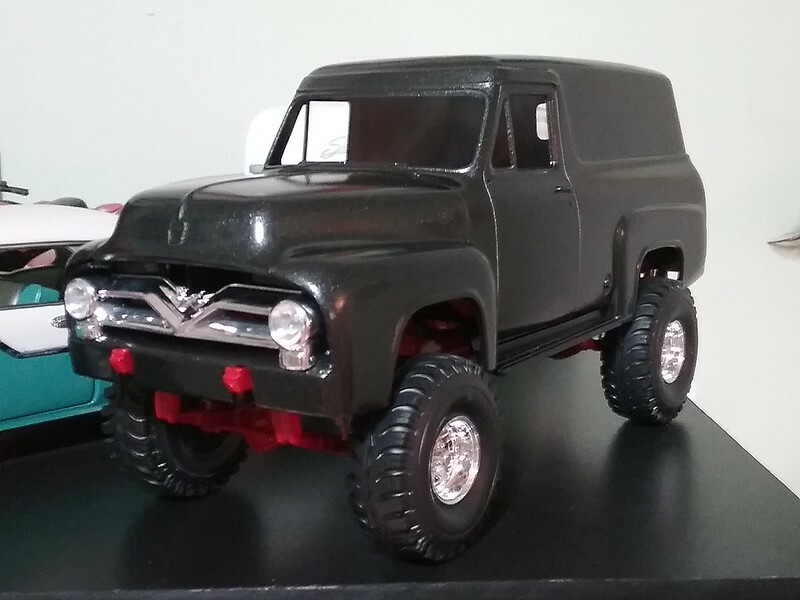 Pics-The other '55 Ford Panel Truck. 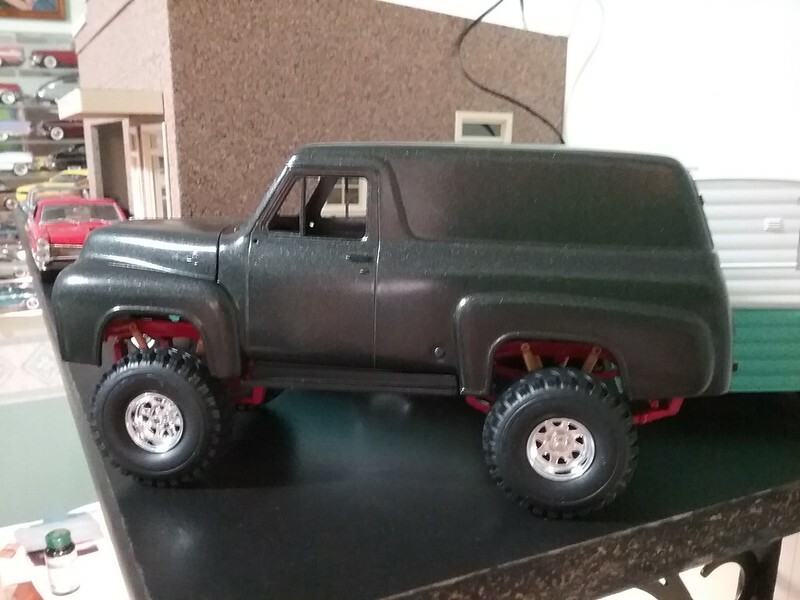 My wife liked the one I was building so much she wanted me to build her an off road version. She digs these lifted trucks. This is where I'm at so far. Cool, reminds me of the original Grave Digger a little bit. That's gonna look nice when finished. Can't wait. Thanks Jeff, I wanted to do something different with this kit and it was the missus' suggestion. I like it......a lot lol.